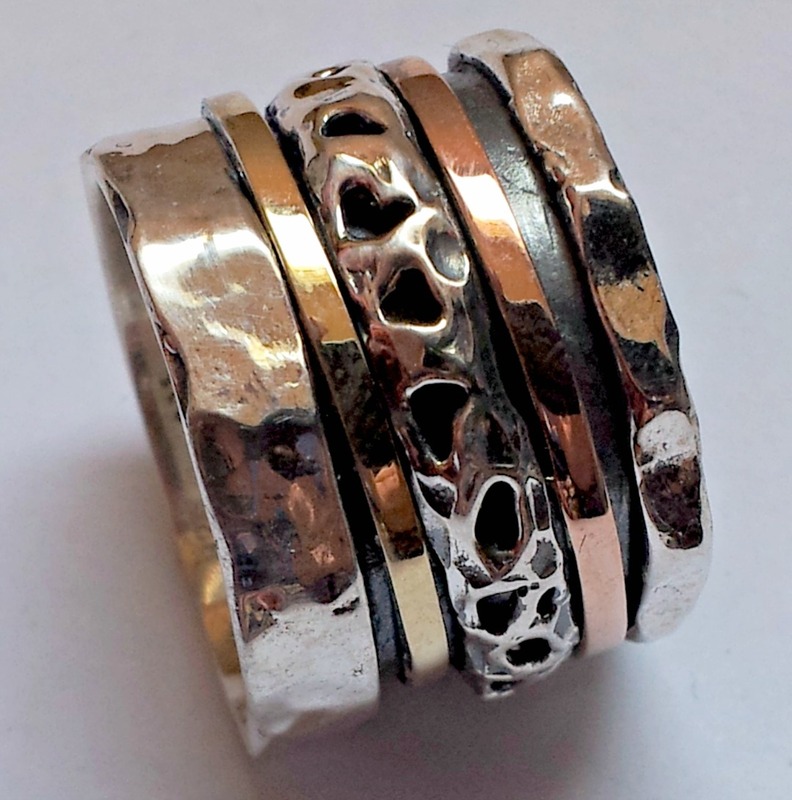 In this ring, 3 spinner rings in gold and sterling silver turn around the sterling silver central band. Israeli spinning rings Meditation Ring. Love Engagement Wedding ring.